Opened in August of 1991, Rose and Thistle was founded by Bobby and Sandra Sutherland. The rose is for Portland, the thistle for Scotland. 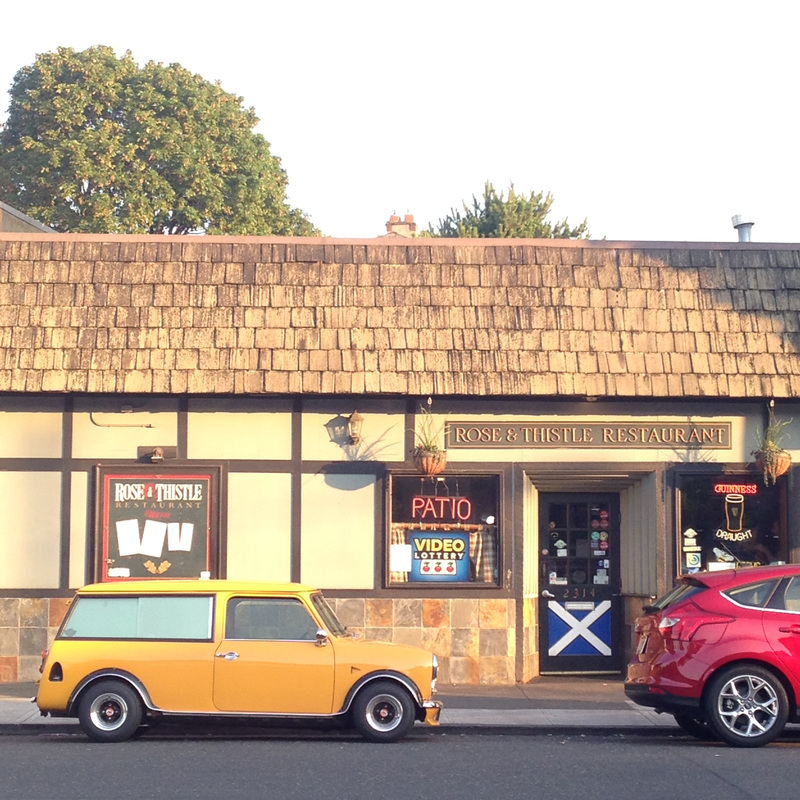 Bobby, a Glaswegian and proud Scot, wanted a hometown pub in his new country. What you see is what he gave. No BS, just good old pubbery. After Bobby's passing in August of 2006, Sandra sold the pub to Martin and Kyra. We continue to carry on the tradition of having a place where all are welcome. Where the people create the atmosphere and a pint is always near. With sarcasm, Scottish fiscal accountability (cheapness), and a dry sense of humor, we welcome all. We thank all of our devout customers throughout the years and welcome all the new friends that we may find. Known aliases: The RAT, The Tug and Whistle. Open Monday to Thursday: 3 pm - 2:30 am and Friday to Sunday: Noon - 2:30 am. Minors allowed in designated areas until 9 pm.